Relations between UK broadband provider TalkTalk and sub-contractor Wipro, which operates their outsourced call centre(s) in India, have been strained after the ISP identified three customer support agents that appeared to be stealing personal data from subscribers and using it in scams. 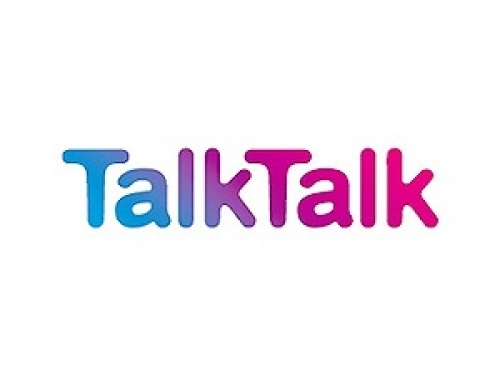 Customers of TalkTalk are by now no strangers to the risk of scam callers and indeed many have been subjected to exactly that sort of con thanks to several major security breaches of the ISPs systems, with the latest Cyber-Attack occurring in October last year (here). Immediately prior to last year’s breach there was also another significant incident via an attack on the Carphone Warehouse, which indirectly affected TalkTalk’s Mobile subscribers (here) and lest we not forget the major breach in 2014 that resulted in masses of fraudulent calls (here); although TalkTalk was significantly slower to admit to that one. 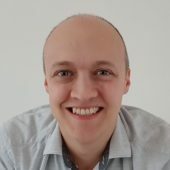 Since then the ISP has been attempting to repair their reputation and as such they’ve also been conducting an extensive security review. As part of that the ISP appears to have identified that not all of the fraudulent calls to their subscribers were the result of earlier cyber-attacks and some appear to have occurred due to the abuse of Wipro’s call centre staff in India. The related investigation identified three members of Wipro’s call centre staff who appeared to have been involved in the abuse of TalkTalk’s private customer details and all have now been arrested by Police in Kolkata. British consumers already have a strong dislike of outsourced call centres, which don’t always appear able to deliver the same quality as their UK based counterparts. At the same time such remote services also require that our personal data be shipped outside of the country and managed abroad, which in this case hasn’t gone quite according to plan. The situation has no doubt strained TalkTalk’s relationship with Wipro, although it’s the relationship with their subscribers that will no doubt be of more concern and that’s far harder to repair. This is a prime example why we should not outsource anything! It’s a prime example of why security should be built in to any systems used, and care always needs to be taken to ensure that when access to personal data is required by anybody that the minimum required amount of data is shared. As well as having effective systems in place to prevent data loss – maybe you require access to personal data to happen via a remote session back to systems that are entirely under your control. I worked at TicketMaster many moons ago which is the UK’s biggest events retailer. We had the same thing happening in their. The Police came in one day and arrested a group and it turns out they had been using customers credit card details for other stuff. No doubt, but India does not figure very highly (#76) on the the latest corruption perception index. Of course call centres (off-shore or not) are vulnerable to staff misusing information, but well-designed systems really ought not allow this sort of thing to happen on industrial levels. Often its technical support staff who are the weakest point. Government agencies are hardly immune. Recall Edward Snowden? In any event, still not good publicity for TalkTalk and their reputation for leaking customer data. There are such thing as dishonest people in the UK! In this country we can see justice itr is our law over there you never know plus for everyone caught just how many get away with it. I have even changed banks due to offshore call centers will not deal with any company that uses them. TalkTalk should just call it a day, how much more bad press do they need? Not the first time this has happened at an Indian call centre, and with the bribes mentioned last time being more than a years pay, you can see why some are tempted. You can also see why people DONT LIKE IT when a company they are supposed to trust outsources their private data to a country known for its corruption. We deal in all type of inbound/Outbound call centre project . We have a talented and qualified Staff. Contact us to get further information. Why can’t we in England support our own people and pay that bit extra for advisers we can trust and understand! We deserve to be scammed in England. we are idiots!